How much more are you willing to pay Netflix? I've had a DVD-rental plan from Netflix since February 1999. Sometime between now and September 1, I will cancel that plan -- not because I want to give up DVD movies but because Netflix is forcing me to choose between them or streaming. To get both, I will substantially pay more. So will you, if a Netflix subscriber. I got the official email about an hour ago: "Your current $9.99 a month membership for unlimited streaming and unlimited DVDs will be split into two distinct plans. Plan 1: Unlimited Streaming (no DVDs) for $7.99 a month. Plan 2: Unlimited DVDs, 1 out at-a-time (no streaming) for $7.99 a month. Your price for getting both of these plans will be $15.98 a month ($7.99 + $7.99). You don't need to do anything to continue your memberships for both unlimited streaming and unlimited DVDs". Mmm, I'm no math whiz but it doesn't take a mathematician to recognize that the new plan will increase monthly fees by about 60 percent. I could pay less and go for one or the other -- I choose streaming. The movie selection isn't as big, but it's large enough, and streaming is more convenient than renting or watching DVDs; delivery is faster, too. When I signed up for Netflix more than 12 years ago, there were no monthly subscription plans. DVDs rented on a per-disc basis for 7 days. DVDs were still quite new as mass-consumer products, the mailer concept was trendsetting and 7-day rental was market changing. I watched my first Netflix-rented DVD on an Apple PowerBook purchased the same month. DVD drives were new to laptops, too, and only Apple shipped them. 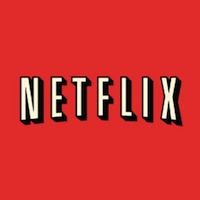 Netflix started offering movie streaming in January 2007, with a limited and largely unappealing selection available on a metered basis. Unlimited streaming came a year later. Since, the video-rental service added TV shows and tens of thousands of movies. Netflix claims 23 million subscribers in the United States. My interest in DVD rentals declined as more streaming choices became available or expanded -- Amazon Instant Video, Hulu Plus, iTunes and YouTube, mainly. Netflix also made DVD-rental concessions to movie studios for the benefit of streaming -- giving up same-day rental as new sales to increase the streaming library. Movie studios wanted a 30-day window (or more) between a movie's DVD sales to maximize revenues before people could rent. For Netflix's willingness to adopt a waiting period, studios agreed to license more titles for streaming. My volume of rentals dropped from several a week to several a month, at best, and I downgraded my Netflix a couple of times. But I didn't cancel my subscription, so Netflix didn't lose anything from me. If anything the service benefitted, because the cost of keeping me as a subscriber went down with the fewer number of DVDs shipped. Netflix is changing its pricing plans. Most subscribers will pay more for DVDs and streaming. What will you do? For me, the new pricing effectively means the aforementioned increase. However, the heaviest users -- those renting 6-8 DVDs at a time per month actually will pay less. Or they could save big time, by simply going all streaming, which costs less than buying most DVDs. The new pricing is effective immediately for newbies. So, please respond to the poll above and offer in comments your reaction to Netflix's plan changes.